I swear I'm trying to make these monthly. There's a new FB group to help try and ease the load and pick the best dates for everyone, and to gain feedback. The war starts AT THE FIELD 10:00 am EST, Saturday January 28th. Put that into google maps, we're going to MEET here and start playing. People who've been to past wars know where it is. 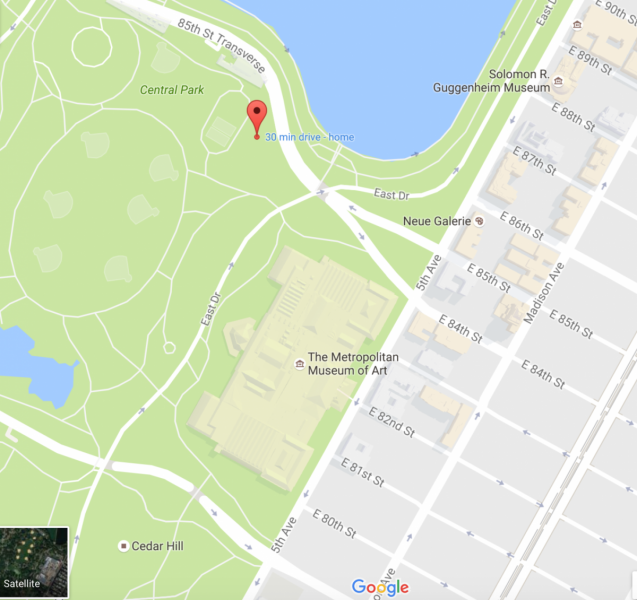 However, Google maps will take you to the Met (find a way here than get over to the waypoint on the map below). So get to the met and than follow this photo. Here is the EXACT place you should meet us. Like somewhere close to the fence near the highway, you should be able to find it. 2)Anything you do that impedes the movement of the dart is a hit. From your shoelace to your blaster, to the fluffs of your hair and your loose t shirt. 3) Don't dartsweep until the rounds over. If you're dead or waiting to spawn, you don't dartsweep. You may if you're alive, but the field has to be cleared so there's no confusion of who's in or not. 4) I'm not going to outright ban any blaster, but you shouldn't be doing more than 150 FPS. All rules will be stated again on site to clarify. Edited by Snoop Doggy doge, 26 January 2017 - 01:52 AM.